Members of the Louisiana Industrial Hemp Alliance (LIHA) held their inaugural meeting at the Southern University Agricultural Land-Grant Campus on January 14, 2019. Seated from left are, Curtis L. Willis, Ph.D.; Joyce James and Bobby R. Phills, Ph,D., Chancellor-Dean of the SU Land-Grant Campus. 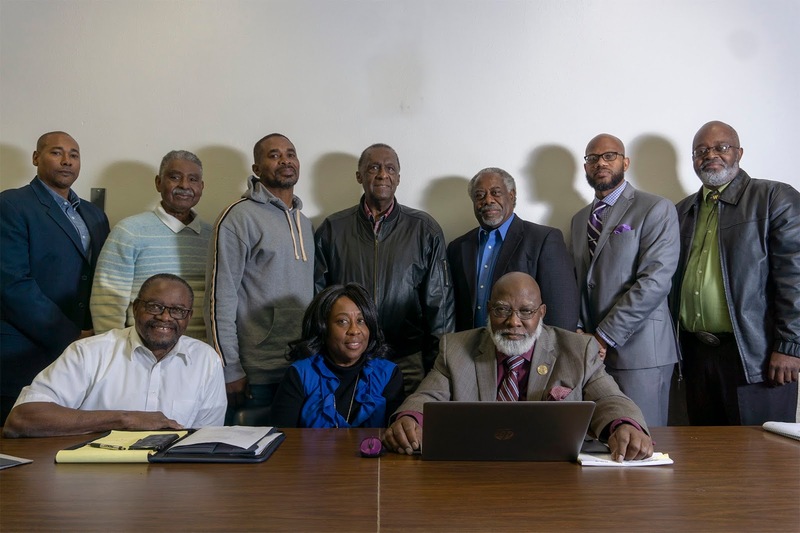 Standing, from left, are Joe Lavigne; Arthur Walker, LIHA Chair; Odis Hill, SU Ag Center Assistant Area Agent; Winston L. Brumfield; Versa O. Clark; Andra Johnson, Ph.D., SU Ag Center Vice Chancellor for Research and C. Reuben Walker, Ph.D., SU Land-Grant Campus Associate Vice Chancellor for Auxiliary and External Engagement. Baton Rouge, La. – The Southern University Land-Grant Campus hosted the inaugural meeting of the Louisiana Industrial Hemp Alliance (LIHA) on Monday, January 14, 2019.